is a distinguished Hungarian novelist and essayist based in Budapest. He was a dissident under the communist regime and one of the earliest to be published in samizdat and also in the English-speaking world. In 1977 he and a colleague, Iván Szelényi, were detained for writing Intellectuals on the Road to Class Power. In 1988 he founded the Alliance of Free Democrats (SZDSZ), and stood in the first free elections of 1990; 2009 he left the party with several founding members. 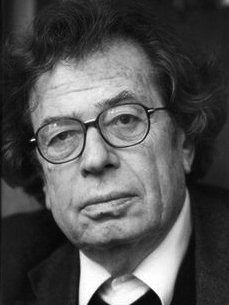 In 1990 he was elected president of International PEN serving until 1993, and in 1997 he was the first non-German to become president of the Arts Academy in Berlin. His novels include The Case Worker, The City-Builder and A Feast in the Garden.